Marketpath added a Wedding and Special Event Gallery section that gives The Roof the ability to easily add new events which highlight their creative touch and remarkable work in creating truly memorable events. Each featured event provides an overview of the event and allows the user to click to learn more about the event’s vendors and partners. It also features an image gallery on the page to showcase the event from all angles. The images capture catering, event setup and unique themes and floor plans. Prior to the website redesign the blog was cluttered with event photography, company news and miscellaneous information that didn’t have a location on the website. Now, the updated social event and wedding blog features tips for creating unique and memorable wedding receptions, corporate events, and parties, as well as industry related news, and company updates that are useful to individuals planning important events. From catering options, to fun event themes and entertainment, to sound and lighting, the new Indiana Roof Ballroom blog provides both ideas and inspiration to help visitors plan for theirnext great event in downtown Indianapolis. The Indiana Roof offers the highest quality catering, event planning, food styling & menu creation, AV & lighting, entertainment and event theme development services to help create your perfect event. Marketpath has highlighted these services through high resolution event beauty shots throughout the site to showcase The Roof’s exceptional service and capabilities to potential customers. The new website also has a clean, responsive design with vibrant photos that capture one-of-a-kind events. 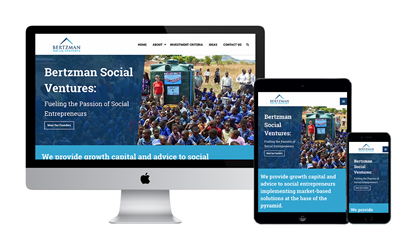 The new site was developed using a responsive (mobile-friendly) web design framework so that any user on any type of device (phone, tablet, etc.) will have the best user experience while navigating the site. The Indiana Roof website also leverages the new Marketpath CMS, which allows the Roof team to make easy website updates, while leveraging the powerful and flexible content management system to support their ongoing content marketing plan. Finally, the site was developed with The Indiana Roof Ballroom’s target audience in mind. Working closely with the Roof’s team, Marketpath performed research to determine how their target clients search for the Roof’s services, and then developed the website with search engine optimization (SEO) best practices that are proven to increase website visibility. Like what you see and need help upgrading your website? Please contact us today about your website development or digital marketing needs.